It is with great anticipation and excitement that we write this letter to you. As you know, Laura will be traveling to China Friday to finalize our adoption and bring home our son, Samuel! We are deep in the trenches of preparing for his arrival. We feel like a big part of that preparation is to prepare YOU for his arrival as well. There are so many unknowns and we love all your excitement and questions about his homecoming. 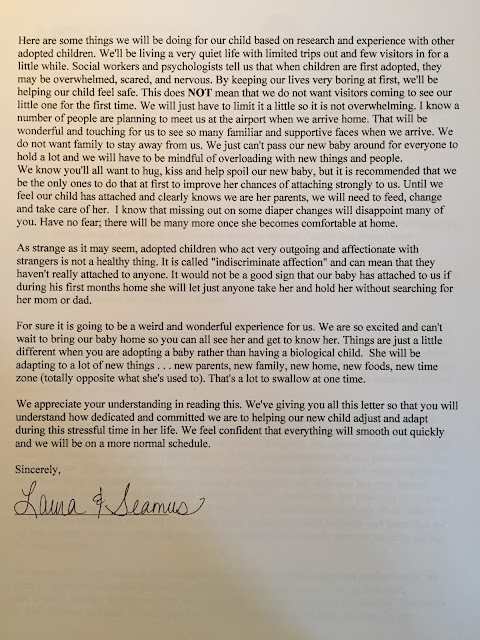 We feel it will be beneficial to Samuel if we can be open about our expectations of friends and family upon his arrival. We have gone through extensive training with medical doctors, psychologists, therapists, and social workers. 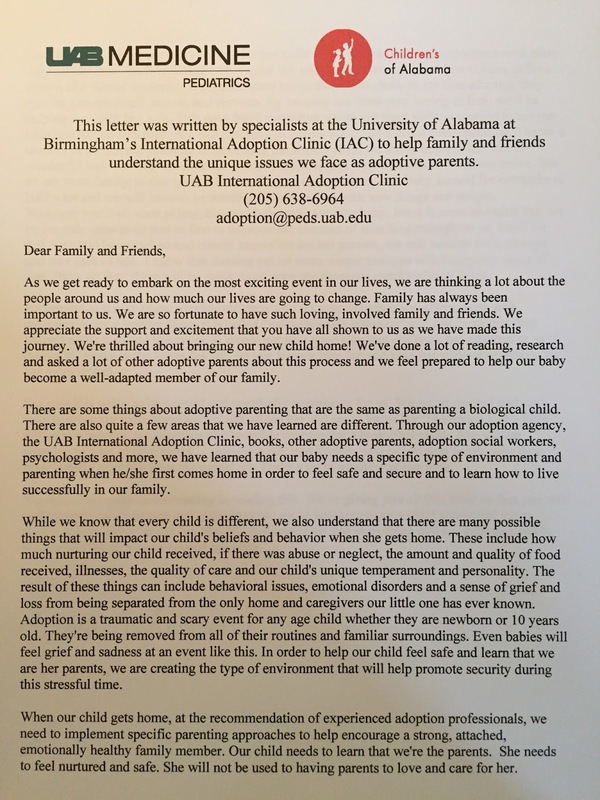 We have learned what we can expect from adopting an orphaned child, as well as how to cope with expected behaviors. In the first 14 months of his life, Samuel has experienced great trauma. He has experienced abandonment, medical issues, and no family to bond with, just to name a few. Being institutionalized has a major impact on a child’s development. We expect our son to be delayed in many areas. One area that will need our immediate attention will be attachment. He has never learned to have a trusting bond with a mother and father and he will have to learn this attachment, just as a newborn does. 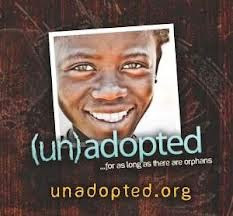 Our parenting of an adopted child will look completely different from the way we have raised our biological children. This may change after a year or so but it is essential that we make sure he has learned proper attachment before we altar any of our parenting. What will this look like? In order to create a healthy attachment, Seamus and I must be the primary caregivers for several months. Only we can feed him, give him a bottle, change his diaper, and provide his basic needs. Samuel will likely sleep with us at first (we NEVER let our biological kids do this). He will basically call the shots. If he wants something, we’ll give it to him (within reason, of course), in order to build trust and an environment where he knows he can rely on us. Discipline will be taught later, just as it would with a newborn. A good way to view this is to think of him as an infant. Because he never had the experience that a properly cared for newborn does, we will have to train him as though he is a newborn. Again, any rules that we have had with our bio kids are basically thrown out the door. They had the opportunity to connect with us from birth, and Samuel has to start from the beginning. 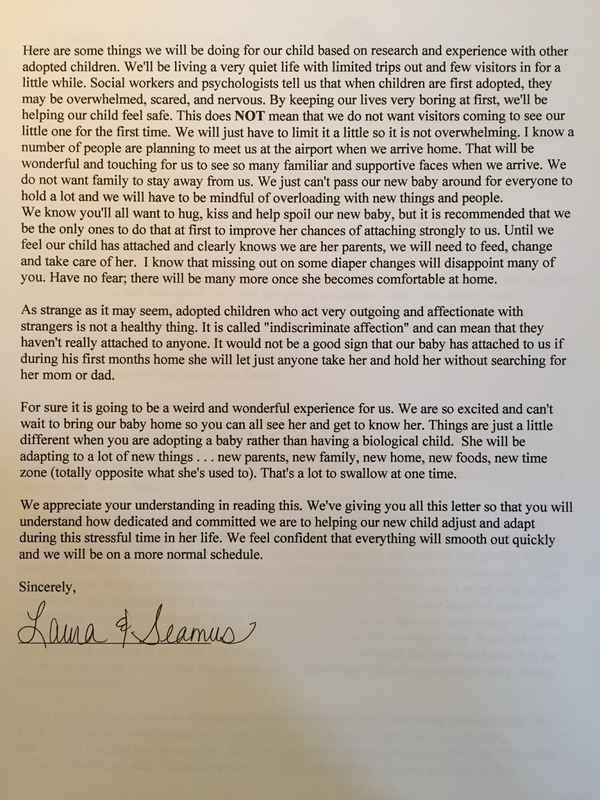 Laura will be home with Samuel for an extended period of time, and will rarely leave the house with him for several weeks. As eager as we know you are to meet him, we have a few requests. We ask that if you have something to give him, you give it to us first, and we will pass it on to him. We ask that no one hold him until we feel that attachment bond has been established. I am planning to carry him in a wrap so that when we do go out, people won’t be tempted to hold him. 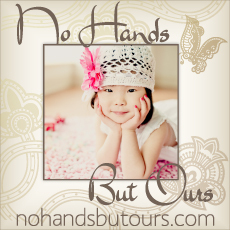 We are excited that so many friends are already talking about play dates with our sweet boy. Please know that we absolutely want this to happen, as soon as we are able. There are numerous ways you can help, upon our return. Our older kids would love some play time, or maybe you could help with an errand or a meal. I promise to be open about what we need when we return. So many of you have already offered such wonderful care and we really appreciate that! We have extended an open invitation to any of you who would like to greet Samuel home at our airport return. We welcome a beautiful reception like this! And we welcome plenty of hugs! I know everyone will understand why they can't hold him just yet. Plus, his daddy isn't going to let anyone have him once he finally gets his arms around him! If you would like to be a part of this special day, please message me and I'll add you to a closed FB group where all our flight information is published. The time frame on all this will greatly depend on Samuel’s progress. We will continue to communicate with you, as progress is made and new phases can be introduced. 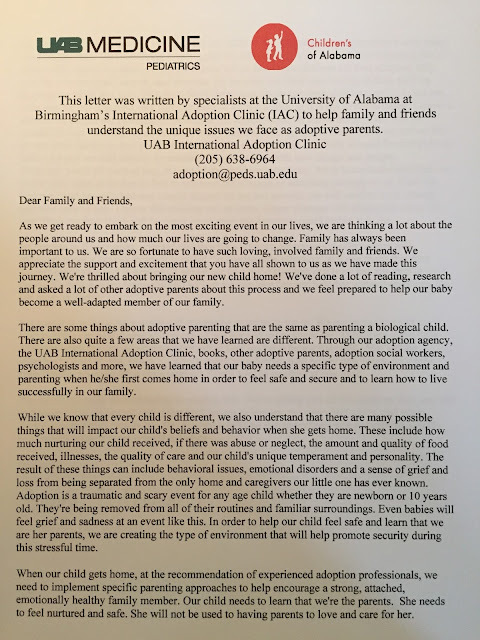 If this sounds extreme to you, it did to us as well before we were completely educated on the needs of an internationally adopted child. I realize we may upset someone but our son’s well-being is of utmost importance to us right now. We can’t expect you to understand why we are implementing this “cocoon” phase but we are grateful if you can just love us through it. Please fire away with any questions you have. We are happy to answer anything! And please, no question is a dumb one. Believe me, we’ve asked them all of the professionals. Asking about the unknowns will ultimately benefit Samuel and your relationship with him. 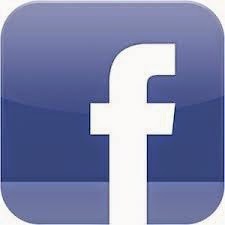 Our social worker, Logan Gibbons, has also offered to answer any questions from our friends and family. We would be happy to share her contact information if you request it. She is a professional who is experienced in this area, and has a very good understanding of the protocol we are implementing. We long for the day Samuel can forge meaningful relationships with our friends, when he will be running around with your children and getting big hugs from each of you! Thank you for your understanding until we are comfortable with the hugs and other social interaction. We are grateful for the love so many of you have poured out on us and we are comforted knowing that you will walk alongside us when Samuel comes home!